Redskins linebacker Keenan Robinson tweeted that he was hit by a drunk driver on his way home from Washington's loss to the New York Giants. Maryland State Police were called to the scene of the crash around 12:50 a.m. Friday on the Inner Loop of the Beltway at Arena Drive, they confirmed. Keenan Robinson's black Chevy Suburban carrying himself and his parents was struck by a black Chevy Tahoe driven by Leon David Robinson III of Silver Spring, a fan who was also leaving FedEx Field. 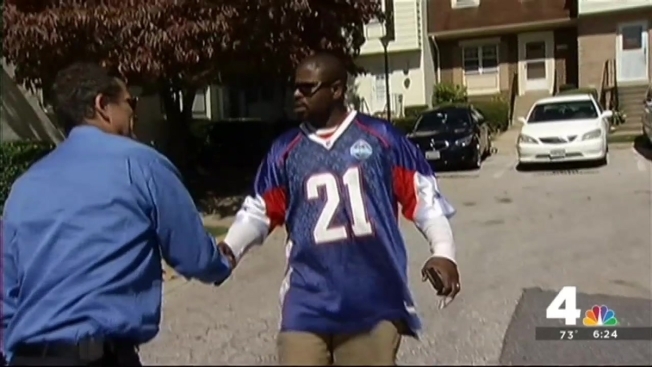 Though he wore a Sean Taylor Pro Bowl jersey, most of the people in his SUV were Giants fans, News4's Mark Segraves reported. Police said that Robinson, the driver of the Tahoe, refused to take a breath test and failed a field sobriety test. He was arrested for DUI, police said. He told News4 he was not drinking and will go to court to try to beat the charge.